The year was 1908 and all over the Keweenaw Peninsula mansions were being built by the wealthy copper mine owners. But here in Laurium the largest and most opulent of them all was just being completed. Built for Thomas H. & Cornelia Hoatson, owner of Calumet & Arizona Mining Co., no expense was spared building this 45 room mansion. At a time when miners were making 25 cents per hour, this house was built at a cost of $50,000 and $35,000 of furnishings were added. 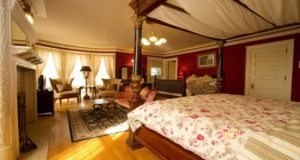 The Laurium Manor Inn is located in the heart of the Keweenaw Peninsula. Convenient for exploring Copper Harbor and Houghton-Hancock area. Only 12 miles from Michigan Technological University & Finlandia University. Keweenaw National Historical Park and Calumet Village is 1 mile from Laurium Manor Inn. 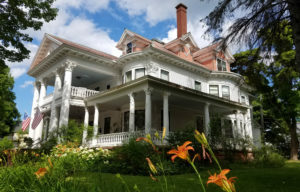 Laurium Manor Inn has been restored into an historic mansion hotel that has been welcoming guests since 1989. Our goal has been to create a welcoming inn that combines the best amenities from hotels with the comforts of a B&B. 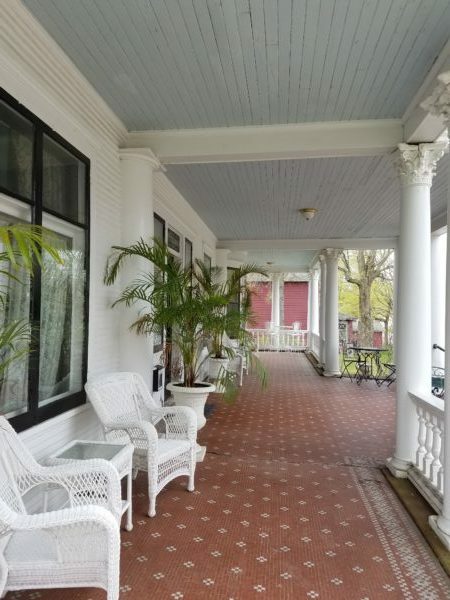 Laurium Manor Inn is open all year round. A full buffet breakfast is included with your room in either mansion. It is served in the dining room at Laurium Manor Inn from 8-10am during May thru October and 8:30-10:30 during the winter months of November thru April.